Women have changed the face of the workforce and entered in every aspect of the field. We, at Blockchain App Factory, have celebrated International Women’s Day with much pomp and joy. All the women came around to enjoy this day to the full extent. 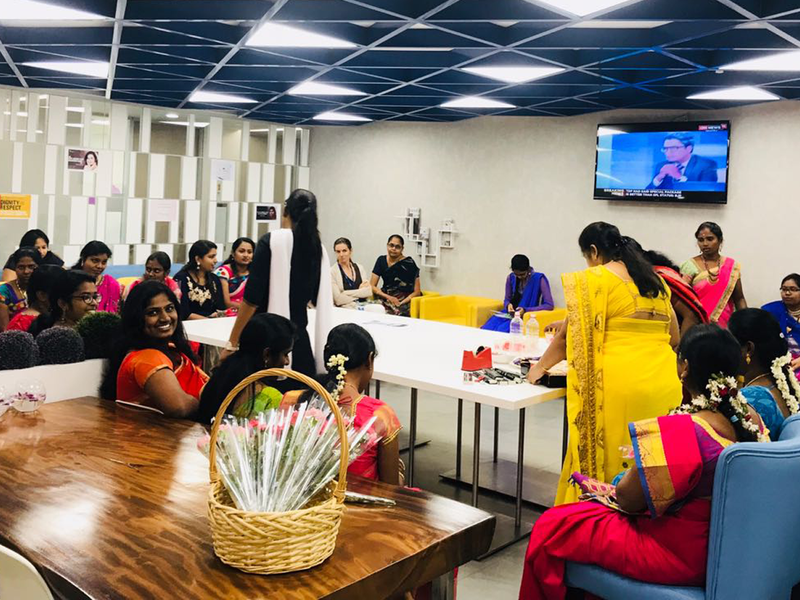 To enjoy this joyous day, our women from Blockchain App Factory came around to enjoy various events set by our Human Resource team. Team events made sure that everyone participated and get to know each other’s strength and weaknesses. Every woman at our Blockchain App Factory had the best of time. An event named PASS OF GEMS were played to test out the how two women from the completely different team were able to play a game. The objective of the game is to pass on gems from one bottle into next without taking out the top one. So with constant teamwork and extreme fun of passing the gems although messing up a few in the process, our women were able to send it down to next bottle for 3 minutes without hassles. And a plethora of events made this international women’s day an occasion to remember. Women’s day is not about enjoying the power of womanhood but taking a knee in the ground and holding our sisters and peers around us and getting out of the shackles and boundaries that have set us back. Take your feminism and work hard for equality in every facet of work and life. Womanhood is to be celebrated and to be proud of our fight in this world. This women’s day at Blockchain App Factory has honored our Women and made us happy for all the days to come.